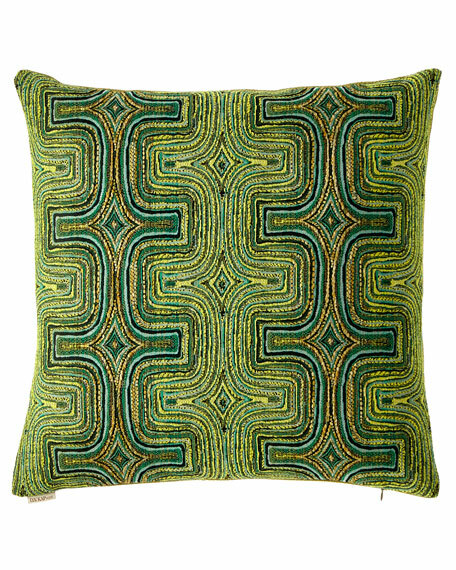 Handcrafted woven pillow with art deco era inspired pattern. 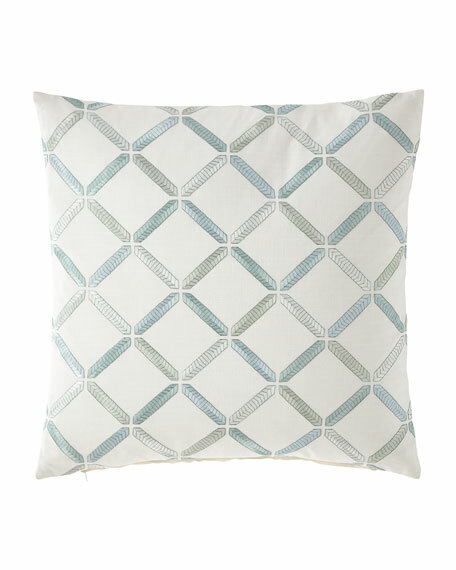 EXCLUSIVELY OURS.Handcrafted pillow in diamond pattern. 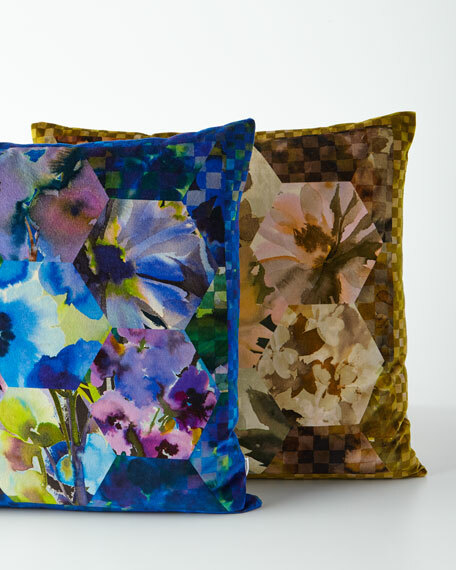 Cotton/polyester/rayon.Feather fill included. Hidden zip closure. 20"Sq. Dry clean.Made in the USA of imported materials. 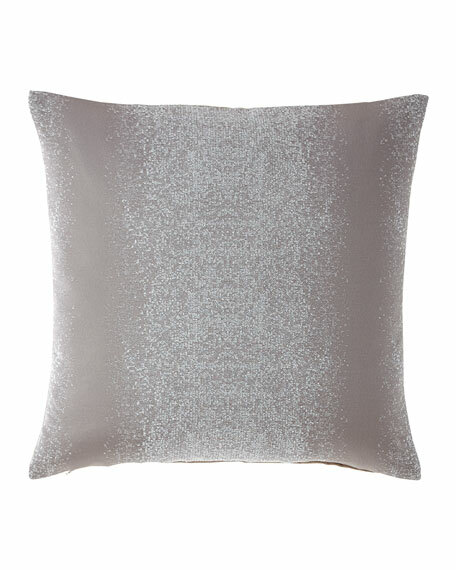 EXCLUSIVELY OURS.Handcrafted pillow with crystal details. 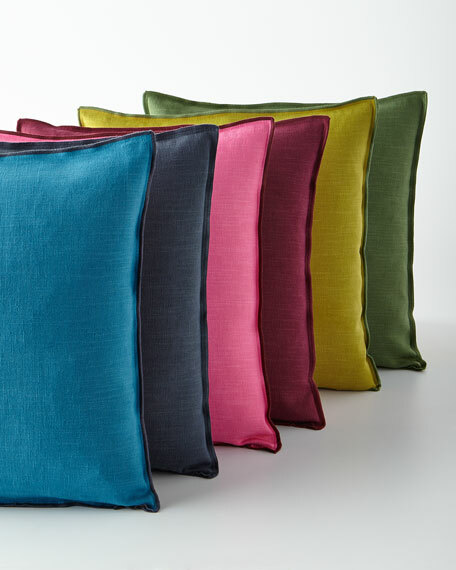 Polyester/cotton.Feather fill included. 20"Sq. Dry clean.Made in the USA of imported materials.